1. We’ve been storing tomatoes wrong all this time. 2. Everything is waste once we stop using it. 3. Phone booths really are emotional places. 4. That little voice in the back of your head actually does something. 5. There’s actually a reason so many films have swanky hotel scenes. 6. Glass used to be a verb. 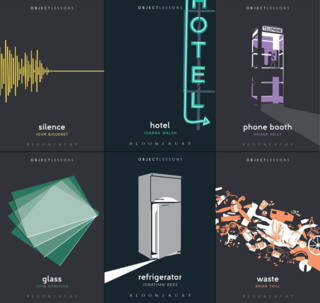 Learn more about Object Lessons at the Bloomsbury website or at objectsobjectsobjects.com. Subscribe to receive new posts!